Moe Norman was arguably one of the greatest ball strikers to have ever lived and in this video, we look at two key moves that can really help your golf game. 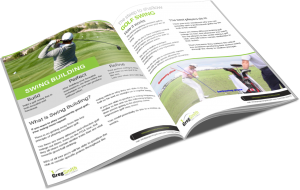 If you would like my help in building a consistent and repeatable golf swing, then you will definitely want to book on “The Best Golf Lesson You Will Ever Have” coaching session. In this session, I will cover in depth the 3 key swing systems allowing you to build a beautiful looking golf swing that hits the ball consistently long and straight.